From top to bottom, and left to right: the World Trade Center burning; a section of the Pentagon collapses; Flight 175 crashes into 2 WTC; a fireman requests help at Ground Zero; an engine from Flight 93 is recovered; Flight 77 crashes into the Pentagon. The September 11 attacks (also referred to as September 11, September 11th, or 9/11[nb 1]) were a series of four coordinated terrorist attacks launched by the Islamic terrorist group al-Qaeda upon the United States in New York City and the Washington, D.C. metropolitan area on Tuesday, September 11, 2001. Four passenger airliners were hijacked by 19 al-Qaeda terrorists so they could be flown into buildings in suicide attacks. Two of those planes, American Airlines Flight 11 and United Airlines Flight 175, were crashed into the North and South towers, respectively, of the World Trade Center complex in New York City. Within two hours, both towers collapsed with debris and the resulting fires causing partial or complete collapse of all other buildings in the WTC complex, as well as major damage to ten other large surrounding structures. A third plane, American Airlines Flight 77, was crashed into the Pentagon (the headquarters of the United States Department of Defense), leading to a partial collapse in its western side. The fourth plane, United Airlines Flight 93, was targeted at Washington, D.C., but crashed into a field near Shanksville, Pennsylvania, after its passengers tried to overcome the hijackers. In total, almost 3,000 people died in the attacks, including the 227 civilians and 19 hijackers aboard the four planes. It also was the deadliest incident for firefighters in the history of the United States. Suspicion quickly fell on al-Qaeda. Although the group's leader, Osama bin Laden, initially denied any involvement, in 2004, he later claimed responsibility for the attacks. Al-Qaeda and bin Laden cited U.S. support of Israel, the presence of U.S. troops in Saudi Arabia, and sanctions against Iraq as motives for the attacks. The United States responded to the attacks by launching the War on Terror and invading Afghanistan to depose the Taliban, which had harbored al-Qaeda. Many countries strengthened their anti-terrorism legislation and expanded law enforcement powers. Having evaded capture for years, bin Laden was located and killed by U.S. forces in May 2011. The destruction of the Twin Towers and other properties caused serious damage to the economy of Lower Manhattan and had a significant effect on global markets, closing Wall Street until September 17 and the civilian airspace in the U.S. and Canada until September 13. Many closings, evacuations and cancellations followed the attack, either out of fear of further attacks or respect for the tragedy. Cleanup of the World Trade Center site was completed in May 2002, and the Pentagon was repaired within a year. Numerous memorials have been constructed, including the National September 11 Memorial & Museum in New York, the Pentagon Memorial, and the Flight 93 National Memorial in Pennsylvania. On November 18, 2006, Construction of One World Trade Center began at the World Trade Center site. As of September 2013, the new tower's concrete construction is largely complete, and will officially open when the installation of podium glass and interior construction are completed in late 2013 or early 2014. American Airlines Flight 11: Left Boston's Logan Airport at 7:59 a.m. enroute to Los Angeles with a crew of 11 and 76 passengers, not including five hijackers. The hijackers flew the plane into the North Tower of the World Trade Center at 8:46 a.m.
United Airlines Flight 175: Left Logan Airport at 8:14 a.m. enroute to Los Angeles with a crew of nine and 51 passengers, not including five hijackers. The hijackers flew the plane into the South Tower of the World Trade Center at 9:03 a.m.
American Airlines Flight 77: Left Washington Dulles International Airport in Virginia at 8:20 a.m. enroute to Los Angeles with a crew of six and 53 passengers, not including five hijackers. The hijackers flew the plane into the Pentagon at 9:37 a.m.
United Airlines Flight 93: Left Newark International Airport at 8:42 a.m. enroute to San Francisco, with a crew of seven and 33 passengers, not including four hijackers. As passengers attempted to subdue the hijackers, the aircraft crashed into the ground near Shanksville, Pennsylvania, at 10:03 a.m.
At 8:46 a.m., five hijackers crashed American Airlines Flight 11 into the World Trade Center's North Tower (1 WTC), and at 9:03 a.m., another five hijackers crashed United Airlines Flight 175 into the South Tower (2 WTC). Five hijackers flew American Airlines Flight 77 into the Pentagon at 9:37 a.m.
A fourth flight, United Airlines Flight 93, under the control of four hijackers, crashed near Shanksville, Pennsylvania, southeast of Pittsburgh, at 10:03 a.m. after the passengers fought the hijackers. Flight 93's target is believed to have been either the Capitol or the White House. Flight 93's cockpit voice recorder revealed crew and passengers tried to seize control of the plane from the hijackers after learning through phone calls that similarly hijacked planes had been crashed into buildings that morning. Once it became evident to the hijackers that the passengers might regain control of the plane, the hijackers rolled the plane and intentionally crashed it. In a September 2002 interview, Khalid Sheikh Mohammed and Ramzi bin al-Shibh, who are believed to have organized the attacks, said Flight 93's intended target was the United States Capitol, not the White House. During the planning stage of the attacks, Mohamed Atta, the hijacker and pilot of Flight 11, thought the White House might be too tough a target and sought an assessment from Hani Hanjour, who would later hijack and pilot Flight 77. Mohammed said al-Qaeda initially planned to target nuclear installations rather than the World Trade Center and the Pentagon, but decided against it, fearing things could "get out of control". Final decisions on targets, according to Mohammed, were left in the hands of the pilots. The attacks resulted in the deaths of 2,996 people, including the 19 hijackers and 2,977 victims. The victims included 246 on the four planes (from which there were no survivors), 2,606 in New York City in the towers and on the ground, and 125 at the Pentagon. Nearly all of the victims were civilians; 55 military personnel were among those killed at the Pentagon. More than 90% of the workers and visitors who died in the towers had been at or above the points of impact. In the North Tower 1,355 people at or above the point of impact were trapped and died of smoke inhalation, fell or jumped from the tower to escape the smoke and flames, or were killed in the building's eventual collapse. The destruction of all three staircases in the tower when Flight 11 hit made it impossible for anyone above the impact zone to escape. One hundred-seven people below the point of impact died as well. In the South Tower, one stairwell (A), was left intact after Flight 175 hit, allowing 14 people located on the floors of impact (including one man who saw the plane coming at him) and four more from the floors above to escape. 911 operators who received calls from individuals inside the tower were not well informed of the situation as it rapidly unfolded and as a result, told callers not to descend the tower on their own. 630 people died in that tower, fewer than half the number killed in the North Tower. Casualties in the South Tower were significantly reduced by some occupants deciding to start evacuating as soon as the North Tower was struck. At least 200 people fell or jumped to their deaths from the burning towers (as exemplified in the photograph The Falling Man), landing on the streets and rooftops of adjacent buildings hundreds of feet below. Some occupants of each tower above the point of impact made their way toward the roof in hope of helicopter rescue, but the roof access doors were locked. No plan existed for helicopter rescues, and the combination of roof equipment and thick smoke and intense heat prevented helicopters from approaching. A total of 411 emergency workers died as they tried to rescue people and fight fires. The New York City Fire Department (FDNY) lost 340 firefighters, a chaplain and two paramedics. The New York City Police Department (NYPD) lost 23 officers. The Port Authority Police Department lost 37 officers. Eight emergency medical technicians (EMTs) and paramedics from private emergency medical services units were killed. After New York, New Jersey lost the most state citizens, with the city of Hoboken sustaining the most deaths. More than 90 countries lost citizens in the attacks on the World Trade Center. Two people were added to the official death toll after dying from health conditions linked to exposure to dust from the collapse of the World Trade Center. Weeks after the attack, the death toll was estimated to be over 6,000, more than twice the number of deaths eventually confirmed. The city was only able to identify remains for about 1,600 of the World Trade Center victims. The medical examiner's office collected "about 10,000 unidentified bone and tissue fragments that cannot be matched to the list of the dead". Bone fragments were still being found in 2006 by workers who were preparing to demolish the damaged Deutsche Bank Building. In 2010, a team of anthropologists and archaeologists searched for human remains and personal items at the Fresh Kills Landfill, where seventy-two more human remains were recovered, bringing the total found to 1,845. DNA profiling continues in an attempt to identify additional victims. The remains are being held in storage in Memorial Park, outside the New York City Medical Examiner’s facilities. It is expected that the remains will be moved in 2013 to a repository behind a wall at the 9/11 museum. In July 2011, a team of scientists at the Office of Chief Medical Examiner was still trying to identify remains, in the hope that improved technology will allow them to identify other victims. On September 16, 2013, the 1,638th victim was identified. There are still 1,115 victims that have not been identified. Along with the 110-floor Twin Towers, numerous other buildings at the World Trade Center site were destroyed or badly damaged, including WTC buildings 3 through 7 and St. Nicholas Greek Orthodox Church. The North Tower, South Tower, the Marriott Hotel (3 WTC) and 7 WTC were completely destroyed. The U.S. Customs House (6 World Trade Center), 4 World Trade Center, 5 World Trade Center, and both pedestrian bridges connecting buildings were severely damaged. The Deutsche Bank Building on 130 Liberty Street was partially damaged and demolished later. The two buildings of the World Financial Center also suffered damage. The Deutsche Bank Building across Liberty Street from the World Trade Center complex was later condemned as uninhabitable because of toxic conditions inside the office tower, and was deconstructed. The Borough of Manhattan Community College's Fiterman Hall at 30 West Broadway was condemned due to extensive damage in the attacks, and is being rebuilt. Other neighboring buildings including 90 West Street and the Verizon Building suffered major damage but have been restored. World Financial Center buildings, One Liberty Plaza, the Millenium Hilton, and 90 Church Street had moderate damage and have since been restored. Communications equipment on top of the North Tower was also destroyed, but media stations were quickly able to reroute signals and resume broadcasts. The Pentagon was severely damaged by the impact of American Airlines Flight 77 and ensuing fires, causing one section of the building to collapse. As it approached the Pentagon, the airplane's wings knocked over light poles and its right engine smashed into a power generator before crashing into the western side of the building, killing all 53 passengers, 5 hijackers, and 6 crew. The plane hit the Pentagon at the first-floor level. The front part of the fuselage disintegrated on impact, while the mid and tail sections kept moving for another fraction of a second. Debris from the tail section penetrated furthest into the building, breaking through 310 feet (94 m) of the three outermost of the building's five rings. The New York City Fire Department deployed 200 units (half of the department) to the site. Their efforts were supplemented by numerous off-duty firefighters and emergency medical technicians. The New York City Police Department sent Emergency Service Units and other police personnel, and deployed its aviation unit. Once on the scene, the FDNY, NYPD, and Port Authority police did not coordinate efforts and performed redundant searches for civilians. As conditions deteriorated, the NYPD aviation unit relayed information to police commanders, who issued orders for its personnel to evacuate the towers; most NYPD officers were able to safely evacuate before the buildings collapsed. With separate command posts set up and incompatible radio communications between the agencies, warnings were not passed along to FDNY commanders. After the first tower collapsed, FDNY commanders issued evacuation warnings; however, due to technical difficulties with malfunctioning radio repeater systems, many firefighters never heard the evacuation orders. 9-1-1 dispatchers also received information from callers that was not passed along to commanders on the scene. Within hours of the attack, a substantial search and rescue operation was launched. After months of around-the-clock operations the World Trade Center site was cleared by the end of May 2002. The origins of al-Qaeda can be traced to 1979 when the Soviet Union invaded Afghanistan. Osama bin Laden traveled to Afghanistan and helped organize Arab mujahideen to resist the Soviets. Under the guidance of Ayman al-Zawahiri, bin Laden became more radical. In 1996 bin Laden issued his first fatwā, calling for American soldiers to leave Saudi Arabia. In a second fatwā in 1998, bin Laden outlined his objections to American foreign policy with respect to Israel, as well as the continued presence of American troops in Saudi Arabia after the Gulf War. Bin Laden used Islamic texts to exhort Muslims to attack Americans until the stated grievances are reversed, and according to bin Laden, Muslim legal scholars, "have throughout Islamic history unanimously agreed that the jihad is an individual duty if the enemy destroys the Muslim countries." The journalist Yosri Fouda of the Arabic television channel Al Jazeera reported that in April 2002, Khalid Sheikh Mohammed admitted his involvement, along with Ramzi bin al-Shibh. The 9/11 Commission Report determined that the animosity towards the United States felt by Mohammed, the principal architect of the 9/11 attacks, stemmed from his "violent disagreement with U.S. foreign policy favoring Israel". In "Substitution for Testimony of Khalid Sheikh Mohammed" from the trial of Zacarias Moussaoui, five people are identified as having been completely aware of the operation's details. They are bin Laden, Khalid Sheikh Mohammed, Ramzi bin al-Shibh, Abu Turab al-Urduni and Mohammed Atef. To date, only peripheral figures have been tried or convicted for the attacks. Also in 2006, Moussaoui, who some originally suspected might have been the assigned 20th hijacker, was convicted for the lesser role of conspiracy to commit acts of terrorism and air piracy. He is serving a life sentence without parole. Mounir el-Motassadeq, an associate of the Hamburg-based hijackers, is serving 15 years for his role in helping the hijackers prepare for the attacks. Bin Laden interpreted the Prophet Muhammad as having banned the "permanent presence of infidels in Arabia". In 1996, bin Laden issued a fatwā calling for American troops to leave Saudi Arabia. In 1998, al-Qaeda wrote, "for over seven years the United States has been occupying the lands of Islam in the holiest of places, the Arabian Peninsula, plundering its riches, dictating to its rulers, humiliating its people, terrorizing its neighbors, and turning its bases in the Peninsula into a spearhead through which to fight the neighboring Muslim peoples." In late 1999, a group of men from Hamburg, Germany, arrived in Afghanistan, including Mohamed Atta, Marwan al-Shehhi, Ziad Jarrah, and Ramzi bin al-Shibh. Bin Laden selected these men because they were educated, could speak English, and had experience living in the west. New recruits were routinely screened for special skills and al-Qaeda leaders consequently discovered that Hani Hanjour already had a commercial pilot's license. At 2:40 p.m. in the afternoon of September 11, Secretary of Defense Donald Rumsfeld was issuing rapid orders to his aides to look for evidence of Iraqi involvement. According to notes taken by senior policy official Stephen Cambone, Rumsfeld asked for, "Best info fast. Judge whether good enough hit S.H." (Saddam Hussein) "at same time. Not only UBL" (Osama bin Laden). Cambone's notes quoted Rumsfeld as saying, "Need to move swiftly – Near term target needs – go massive – sweep it all up. Things related and not." On October 7, 2001, the War in Afghanistan began when U.S. and British forces initiated aerial bombing campaigns targeting Taliban and al-Qaeda camps, then later invaded Afghanistan with ground troops of the Special Forces. The overthrow of the Taliban rule of Afghanistan by a U.S.-led coalition was the second-biggest operation of the U.S. Global War on Terrorism outside of the United States, and the largest directly connected to terrorism. Conflict in Afghanistan between the Taliban insurgency and the International Security Assistance Force is ongoing. The Philippines and Indonesia, among other nations with their own internal conflicts with Islamic terrorism, also increased their military readiness. Following the attacks, President Bush's approval rating soared to 90%. On September 20, 2001 he addressed the nation and a joint session of the United States Congress regarding the events of September 11 and the subsequent nine days of rescue and recovery efforts, and described his intended response to the attacks. New York City mayor Rudy Giuliani's highly visible role won him high praise in New York and nationally. Contingency plans for the continuity of government and the evacuation of leaders were implemented almost immediately after the attacks. However, Congress was not told that the United States had been under a continuity of government status until February 2002. In the largest restructuring of the U.S. government in contemporary history, the United States enacted the Homeland Security Act of 2002, creating the Department of Homeland Security. Congress also passed the USA PATRIOT Act, saying it would help detect and prosecute terrorism and other crimes. Civil liberties groups have criticized the PATRIOT Act, saying it allows law enforcement to invade the privacy of citizens and that it eliminates judicial oversight of law enforcement and domestic intelligence. In an effort to effectively combat future acts of terrorism, the National Security Agency (NSA) was given broad powers. NSA commenced warrantless surveillance of telecommunications which was sometimes criticized since it permitted the agency "to eavesdrop on telephone and e-mail communications between the United States and people overseas without a warrant". Numerous incidents of harassment and hate crimes against Muslims and South Asians were reported in the days following the 9/11 attacks. Sikhs were also targeted because Sikh males usually wear turbans, which are stereotypically associated with Muslims. There were reports of attacks on mosques and other religious buildings (including the firebombing of a Hindu temple), and assaults on people, including one murder: Balbir Singh Sodhi, a Sikh mistaken for a Muslim, was fatally shot on September 15, 2001, in Mesa, Arizona. According to an academic study, people perceived to be Middle Eastern were as likely to be victims of hate crimes as followers of Islam during this time. The study also found a similar increase in hate crimes against people who may have been perceived as Muslims, Arabs and others thought to be of Middle Eastern origin. A report by the South Asian American advocacy group known as South Asian Americans Leading Together, documented media coverage of 645 bias incidents against Americans of South Asian or Middle Eastern descent between September 11 and 17. Various crimes such as vandalism, arson, assault, shootings, harassment, and threats in numerous places were documented. The 9/11 attacks had a major effect on the economy of New York City. The September 11 attacks also led indirectly to the U.S. wars in Afghanistan and Iraq, as well as additional homeland security spending, totaling at least $5 trillion. In the United States, the Department of Homeland Security was created to coordinate domestic anti-terrorism efforts. The USA Patriot Act gave the federal government greater powers, including the authority to detain foreign terror suspects for a week without charge, to monitor telephone communications, e-mail, and Internet use by terror suspects, and to prosecute suspected terrorists without time restrictions. The Federal Aviation Administration ordered that airplane cockpits be reinforced to prevent terrorists gaining control of planes, and assigned sky marshals to flights. Further, the Aviation and Transportation Security Act made the federal government, rather than airports, responsible for airport security. The law created a federal security force to inspect passengers and luggage, causing long delays and concern over passenger privacy. Immediately after the attacks, the Federal Bureau of Investigation started PENTTBOM, the largest criminal inquiry in the history of the United States. At its height, more than half of the FBI's agents worked on the investigation and followed a half-million leads. The FBI concluded that there was "clear and irrefutable" evidence linking al-Qaeda and bin Laden to the attacks. The FBI was quickly able to identify the hijackers, including leader Mohamed Atta, when his luggage was discovered at Boston's Logan Airport. Atta had been forced to check two of his three bags due to space limitations on the 19-seat commuter flight he took to Boston. Due to a new policy instituted to prevent flight delays, the luggage failed to make it aboard American Airlines Flight 11 as planned. The luggage contained the hijackers' names, assignments and al-Qaeda connections. "It had all these Arab-language (sic) papers that amounted to the Rosetta stone of the investigation", said one FBI agent. Within hours of the attacks, the FBI released the names and in many cases the personal details of the suspected pilots and hijackers. By midday, the U.S. National Security Agency and German intelligence agencies had intercepted communications pointing to Osama bin Laden. On September 27, 2001, the FBI released photos of the 19 hijackers, along with information about possible nationalities and aliases. Fifteen of the men were from Saudi Arabia, two from the United Arab Emirates, one (Atta) from Egypt, and one from Lebanon. The National Commission on Terrorist Attacks Upon the United States (9/11 Commission), chaired by former New Jersey Governor Thomas Kean, was formed in late 2002 to prepare a thorough account of the circumstances surrounding the attacks, including preparedness for and the immediate response to the attacks. On July 22, 2004, the 9/11 Commission issued the 9/11 Commission Report. The report detailed the events of 9/11, found the attacks were carried out by members of al-Qaeda, and examined how security and intelligence agencies were inadequately coordinated to prevent the attacks. Formed from an independent bipartisan group of mostly former Senators, Representatives, and Governors, the commissioners explained, "We believe the 9/11 attacks revealed four kinds of failures: in imagination, policy, capabilities, and management". The commission made numerous recommendations on how to prevent future attacks, and in 2011 was dismayed that several of its recommendations had yet to be implemented. The Inspector General of the CIA conducted an internal review of the CIA's pre-9/11 performance and was harshly critical of senior CIA officials for not doing everything possible to confront terrorism. He criticized their failure to stop two of the 9/11 hijackers, Nawaf al-Hazmi and Khalid al-Mihdhar, as they entered the United States and their failure to share information on the two men with the FBI. In May 2007, senators from both major U.S. political parties drafted legislation to make the review public. One of the backers, Senator Ron Wyden said, "The American people have a right to know what the Central Intelligence Agency was doing in those critical months before 9/11." The damaged section of the Pentagon was rebuilt and occupied within a year of the attacks. The temporary World Trade Center PATH station opened in late 2003 and construction of the new 7 World Trade Center was completed in 2006. Work on rebuilding the main World Trade Center site was delayed until late 2006 when leaseholder Larry Silverstein and the Port Authority of New York and New Jersey agreed on financing. One World Trade Center is currently under construction at the site and on May 20, 2013, One World Trade Center became the tallest building in the Western Hemisphere at 1,776 ft (541 m) with the installation of the spire that rests atop the building. The Tribute in Light on September 11, 2011, on the tenth anniversary of the attacks, seen from New Jersey. The building lit up in red, white, and blue is the new One World Trade Center under construction. One of the first memorials was the Tribute in Light, an installation of 88 searchlights at the footprints of the World Trade Center towers. In New York, the World Trade Center Site Memorial Competition was held to design an appropriate memorial on the site. The winning design, Reflecting Absence, was selected in August 2006, and consists of a pair of reflecting pools in the footprints of the towers, surrounded by a list of the victims' names in an underground memorial space. Plans for a museum on the site have been put on hold, following the abandonment of the International Freedom Center in reaction to complaints from the families of many victims. ↑ 9/11 is pronounced "nine eleven". The slash is not part of the pronunciation. The name is frequently used in British English as well as American English although the dating conventions differ. ↑ 1.0 1.1 1.2 "Bin Laden claims responsibility for 9/11". CBC News. October 29, 2004. http://www.cbc.ca/world/story/2004/10/29/binladen_message041029.html. Retrieved 2011-09-01. "Al-Qaeda leader Osama bin Laden appeared in a new message aired on an Arabic TV station Friday night, for the first time claiming direct responsibility for the 2001 attacks against the United States." ↑ Inside 9/11: Zero Hour, National Geographic Channel documentary, 2005. ↑ "1 World Trade Center (Freedom Tower)". Lower Manhattan Development Corporation. http://www.lowermanhattan.info/construction/project_updates/freedom_tower_26204.aspx. Retrieved 2013-09-11. ↑ 5.0 5.1 5.2 9/11 Commission Report, pp. 4–14. ↑ 6.0 6.1 "The Attack Looms". 9/11 Commission Report. National Commission on Terrorist Attacks Upon the United States. 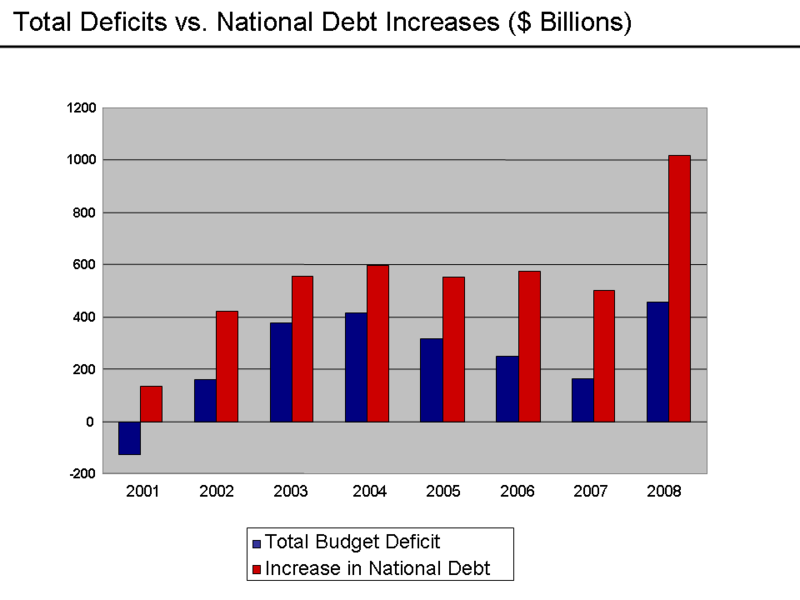 2004. http://govinfo.library.unt.edu/911/report/911Report_Ch7.htm. Retrieved 2011-09-01. ↑ See, for example, news coverage by CNN: "Breaking News Videos from CNN.com". http://www.cnn.com/video/data/2.0/video/us/2011/09/07/natpkg-911-aircheck-timeline.cnn.html. ↑ "Flight Path Study – American Airlines Flight 11" (PDF). National Transportation Safety Board. February 19, 2002. http://www.gwu.edu/~nsarchiv/NSAEBB/NSAEBB196/doc01.pdf. ↑ "Flight Path Study – United Airlines Flight 175" (PDF). National Transportation Safety Board. February 19, 2002. http://www.gwu.edu/~nsarchiv/NSAEBB/NSAEBB196/doc03.pdf. ↑ "Flight Path Study – American Airlines Flight 77" (PDF). National Transportation Safety Board. February 19, 2002. http://www.gwu.edu/~nsarchiv/NSAEBB/NSAEBB196/doc02.pdf. ↑ Snyder, David (April 19, 2002). "Families Hear Flight 93's Final Moments". The Washington Post. http://www.highbeam.com/doc/1P2-351703.html. Retrieved 2013-11-12. ↑ "Text of Flight 93 Recording". Fox News. April 12, 2006. http://www.foxnews.com/story/2006/04/12/text-flight-3-recording/. Retrieved 2013-11-11. ↑ "The Flight 93 Story". National Park Service. http://www.nps.gov/flni/historyculture/index.htm. Retrieved 2011-09-21. ↑ McKinnon, Jim (September 16, 2001). "The phone line from Flight 93 was still open when a GTE operator heard Todd Beamer say: 'Are you guys ready? Let's roll'". Pittsburgh Post-Gazette. http://old.post-gazette.com/headlines/20010916phonecallnat3p3.asp. Retrieved 2011-04-10. ↑ "Relatives wait for news as rescuers dig". CNN. September 13, 2001. http://europe.cnn.com/2001/US/09/12/family.reacts/index.html. Retrieved 2013-11-11. ↑ Wilgoren, Jodi and Edward Wong (September 13, 2001). "On Doomed Flight, Passengers Vowed To Perish Fighting". The New York Times. http://query.nytimes.com/gst/fullpage.html?res=9B03E5DB1038F930A2575AC0A9679C8B63. Retrieved 2011-09-01. ↑ Serrano, Richard A. (April 11, 2006). "Moussaoui Jury Hears the Panic From 9/11". Los Angeles Times. http://articles.latimes.com/2006/apr/11/nation/na-moussa11. Retrieved 2011-09-01. ↑ Goo, Sara Kehaulani; Eggen, Dan (January 28, 2004). "Hijackers used Mace, knives to take over airplanes". San Francisco Chronicle. http://www.sfgate.com/cgi-bin/article.cgi?file=/chronicle/archive/2004/01/28/MNGQ04JEEH1.DTL. Retrieved 2011-09-01. ↑ Ahlers, Mike M. (January 27, 2004). "9/11 panel: Hijackers may have had utility knives". CBS News. http://www.cnn.com/2004/US/01/27/911.commis.knife/. Retrieved 2011-09-01. ↑ "Encore Presentation: Barbara Olson Remembered". Larry King Live. CNN. January 6, 2002. http://transcripts.cnn.com/TRANSCRIPTS/0201/06/lklw.00.html. Retrieved 2011-09-01. ↑ "National Commission Upon Terrorist Attacks in the United States". National Commission Upon Terrorist Attacks in the United States. January 27, 2004. http://www.9-11commission.gov/archive/hearing7/9-11Commission_Hearing_2004-01-27.htm. Retrieved 2008-01-24. ↑ 24.0 24.1 24.2 Miller, Bill (May 1, 2002). "Report Assesses Trade Center's Collapse". The Washington Post. Archived from the original on 2012-05-24. https://archive.is/ojjW. Retrieved 2011-09-02. ↑ "Flight 77, Video 2". Judicial Watch. http://www.youtube.com/watch?v=L75Gga92WO8&feature=relmfu. Retrieved 2012-04-04. ↑ "Profiles of 9/11 – About 9/11". The Biography Channel. A&E Television Networks. Archived from the original on 2011-07-22. http://web.archive.org/web/20110722151526/http://www.biography.com/profiles-of-9-11/about911.jsp. Retrieved 2011-09-02. ↑ Miller, Mark (August 26, 2002). "Three hours that shook America: A chronology of chaos". Broadcasting & Cable. Reed Business Information. http://www.broadcastingcable.com/article/143815-Three_hours_that_shook_America_A_chronology_of_chaos.php. Retrieved 2011-09-02. ↑ Adams, Marilyn; Levin, Alan and Morrison, Blake (August 13, 2002). "Part II: No one was sure if hijackers were on board". USA Today. 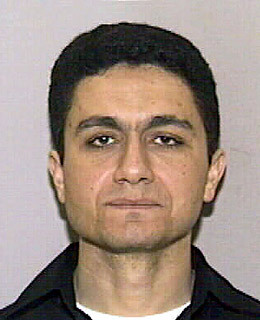 http://www.usatoday.com/news/sept11/2002-08-12-hijacker-daytwo_x.htm. Retrieved 2011-09-02. ↑ 32.0 32.1 Summers and Swan (2011), p. 323. ↑ "Al-Qaeda 'plotted nuclear attacks'". BBC News. September 8, 2002. http://news.bbc.co.uk/2/hi/middle_east/2244146.stm. Retrieved 2011-09-02. ↑ "Lost lives remembered during 9/11 ceremony". The Online Rocket. September 12, 2008. http://www.theonlinerocket.com/news/lost-lives-remembered-during-9-11-ceremony-1.2333384. Retrieved 2012-04-04. ↑ 35.0 35.1 "Accused 9/11 plotter Khalid Sheikh Mohammed faces New York trial". CNN. November 13, 2009. http://edition.cnn.com/2009/CRIME/11/13/khalid.sheikh.mohammed/index.html. Retrieved 2011-09-02. ↑ "First video of Pentagon 9/11 attack released". CNN. May 16, 2006. Archived from the original on 2006-09-24. http://www.webcitation.org/5J8PnIDu2. Retrieved 2011-09-02. ↑ Stone, Andrea (August 20, 2002). "Military's aid and comfort ease 9/11 survivors' burden". USA Today. http://www.usatoday.com/news/sept11/2002-08-20-pentagon_x.htm. Retrieved 2011-09-02. ↑ 38.0 38.1 38.2 Sunder (2005), p. 48. ↑ National Commission on Terrorist Attacks (July 22, 2004 (first edition)). The 9/11 Commission Report. W. W. Norton & Company. p. 294. ISBN 0-393-32671-3. http://govinfo.library.unt.edu/911/report/911Report_Ch9.pdf. ↑ Cauchon, Dennis; Moore, Martha (September 2, 2002). "Desperation forced a horrific decision". USATODAY. http://www.usatoday.com/news/sept11/2002-09-02-jumper_x.htm. Retrieved 2011-09-02. ↑ "Poor Info Hindered 9/11 Rescue". CBS News. May 18, 2004. http://www.cbsnews.com/stories/2004/05/18/terror/main618174.shtml. Retrieved 2011-09-02. ↑ Grady, Denise; Revkin, Andrew C. (September 10, 2002). "Threats and responses: rescuer's health; Lung Ailments May Force 500 Firefighters Off Job". The New York Times. http://query.nytimes.com/gst/fullpage.html?res=9C05E1DC1631F933A2575AC0A9649C8B63. Retrieved 2011-09-02. ↑ "Post-9/11 report recommends police, fire response changes". USA Today. August 19, 2002. http://www.usatoday.com/news/nation/2002-08-19-nypd-nyfd-report_x.htm. Retrieved 2011-09-02. ↑ "Police back on day-to-day beat after 9/11 nightmare". CNN. July 21, 2002. http://archives.cnn.com/2002/US/07/20/wtc.police/index.html. Retrieved 2011-09-02. ↑ Joshi, Pradnya (September 8, 2005). "Port Authority workers to be honored". Newsday. http://www.newsday.com/news/port-authority-workers-to-be-honored-1.695524. Retrieved 2011-09-02. ↑ "2001 Notices of Line of Duty Death". National EMS Memorial Service. http://nemsms.org/notices01.htm. Retrieved 2011-09-02. ↑ "Cantor rebuilds after 9/11 losses". BBC. September 4, 2006. http://news.bbc.co.uk/2/hi/americas/5282060.stm?lsf. Retrieved 2011-09-02. ↑ "Marsh & McLennan Companies 9/11 Memorial". http://memorial.mmc.com/. Retrieved 2011-09-07. ↑ "Milestones of Marsh & McLennan Companies". http://www.mmc.com/about/history.php. Retrieved 2011-09-07. ↑ Siegel, Aaron (September 11, 2007). "Industry honors fallen on 9/11 anniversary". InvestmentNews. http://www.investmentnews.com/article/20070911/REG/70911011. Retrieved 2011-09-02. ↑ Dwyer, Jim; et al. (May 26, 2002). "Last Words at the Trade Center; Fighting to Live as the Towers Die". New York Times. http://query.nytimes.com/gst/fullpage.html?res=9F00E6DC153BF935A15756C0A9649C8B63. Retrieved 2011-09-02. ↑ Beveridge, Andrew. "9/11/01-02: A Demographic Portrait of the Victims In 10048". Gotham Gazette. http://www.gothamgazette.com/demographics/91102.shtml. Retrieved 2011-09-02. ↑ U.S. Department of State. "A list of the countries whose citizens died as a result of the attacks on September 11, 2001". U.S. Department of State, Office of International Information Programs. http://wayback.archive.org/web/*/http://usinfo.state.gov/is/img/assets/4756/9_11onepager1.pdf. ↑ DePalma, Anthony (May 24, 2007). "For the First Time, New York Links a Death to 9/11 Dust". The New York Times. http://www.nytimes.com/2007/05/24/nyregion/24dust.html. Retrieved 2011-09-02. ↑ Foderaro, Lisa W. (September 2009). "9/11's Litany of Loss, Joined by Another Name". New York Times. http://www.nytimes.com/2009/09/12/nyregion/12groundzero.html. Retrieved 2011-09-02. ↑ "Alleged 9/11 Plotters Face Trial Blocks From WTC Site". WIBW. November 13, 2009. http://www.wibw.com/nationalnews/headlines/70082322.html. Retrieved 2011-09-02. ↑ "American Airlines Flight 11". CNN. http://www.cnn.com/SPECIALS/2001/memorial/lists/by-location/page93.html. Retrieved 2011-09-02. ↑ "United Airlines Flight 175". CNN. http://www.cnn.com/SPECIALS/2001/memorial/lists/by-location/page100.html. Retrieved 2011-09-02. ↑ "Pentagon". CNN. http://www.cnn.com/SPECIALS/2001/memorial/lists/by-location/page88.html. Retrieved 2011-09-02. ↑ "American Airlines Flight 77". CNN. http://www.cnn.com/SPECIALS/2001/memorial/lists/by-location/page96.html. Retrieved 2011-09-02. ↑ Roddy, Dennis B. (October 2001). "Flight 93: Forty lives, one destiny". Pittsburgh Post-Gazette. Archived from the original on 2006-11-30. http://www.webcitation.org/5KmMRkIhh. Retrieved 2011-09-02. ↑ "Source: Hijacking suspects linked to Afghanistan". CNN. September 30, 2001. http://edition.cnn.com/2001/US/09/29/gen.america.under.attack/index.html. Retrieved 2011-09-02. ↑ "Ground Zero Forensic Work Ends". CBS News. February 23, 2005. http://www.cbsnews.com/stories/2005/02/23/national/main675839.shtml. Retrieved 2011-09-02. ↑ Andrade, Beaulieu (August 25, 2011). "Scientists still struggle to identify 9/11 remains". Agence France Presse – English. Archived from the original on 2011-12-17. http://web.archive.org/web/20111217083317/http://www.google.com/hostednews/afp/article/ALeqM5hCMXkeXZKjXwPV7tNuNisLMGQLow?docId=CNG.8f687bac0a1be3abfa3af672939d465b.81. Retrieved 2011-09-05. ↑ Lemre, Jonathan (August 24, 2011). "Remains of WTC worker Ernest James, 40, ID'd ten years after 9/11". New York Daily News. http://www.nydailynews.com/new-york/remains-wtc-worker-ernest-james-40-id-ten-years-9-11-article-1.945620. Retrieved 2012-04-10. ↑ 69.0 69.1 Cuza, Bobby (June 11, 2011). "9/11 A Decade Later: DNA Matching Efforts To Continue At WTC Site". NY1. http://www.ny1.com/content/143516/9-11-a-decade-later--remains-from-wtc-tested-by-latest-dna-tech. Retrieved 2011-09-21. ↑ 71.0 71.1 "World Trade Center Building Performance Study". FEMA. May 2002. Archived from the original on 2010-09-18. http://www.webcitation.org/5spvzRCDS. Retrieved 2011-09-03. ↑ 72.0 72.1 Summers and Swan (2011), p. 75. ↑ Chaban, Matt (02-09). "130 Liberty Finally Gone from Ground Zero". The New York Observer. http://www.commercialobserver.com/2011/02/130-liberty-finally-gone-from-ground-zero/. Retrieved 2012-04-10. ↑ "The Deutsche Bank Building at 130 Liberty Street". Lower Manhattan Construction Command Center. http://www.renewnyc.com/plan_des_dev/130Liberty/default.asp. Retrieved 2011-09-02. ↑ "Lower Manhattan – Fiterman Hall". LowerManhattan.info. July 1, 2007. Archived from the original on 2010-05-22. http://www.webcitation.org/5pvOUTcbk. Retrieved 2011-09-03. ↑ "Verizon Building Restoration". New York Construction (McGraw Hill). Archived from the original on 2010-05-22. http://www.webcitation.org/5pvOUTccB. Retrieved 2011-09-02. ↑ Bloomfield, Larry (October 1, 2001). "New York broadcasters rebuild". Broadcast Engineering. Archived from the original on 2008-06-04. http://web.archive.org/web/20080604040210/http://sysdesignshowcase.broadcastengineering.com/ar/broadcasting_new_york_broadcasters. Retrieved 2011-09-03. ↑ 83.0 83.1 Goldberg (2007), p. 17. ↑ Maclean, John N (June 1, 2008). "America Under Attack: A chronicle of chaos and heroism at the Pentagon". The Washington Post. http://www.washingtonpost.com/wp-dyn/content/article/2008/05/29/AR2008052903149.html. Retrieved 2011-09-03. ↑ 85.0 85.1 McKinsey Report, "Emergency Medical Service response", pp. ?? ↑ 86.0 86.1 McKinsey Report, "Executive Summary", pp. ?? ↑ 88.0 88.1 Alavosius and Rodriquez (2005), pp. 666–680. ↑ "Ceremony closes 'Ground Zero' cleanup". CNN. May 30, 2002. http://archives.cnn.com/2002/US/05/30/rec.wtc.cleanup/. Retrieved 2011-09-03. ↑ "Al-Qaeda's origins and links". BBC News. July 20, 2004. http://news.bbc.co.uk/2/hi/middle_east/1670089.stm. Retrieved 2011-09-03. ↑ "Bin Laden's fatwā (1996)". PBS. http://www.pbs.org/newshour/terrorism/international/fatwa_1996.html. Retrieved 2011-09-03. ↑ 94.0 94.1 94.2 "Al Qaeda's 1998 fatwā". PBS NewsHour. Public Broadcasting Service. http://www.pbs.org/newshour/terrorism/international/fatwa_1998.html. Retrieved 2011-09-03. ↑ "Pakistan inquiry orders Bin Laden family to remain". BBC. July 6, 2011. http://www.bbc.co.uk/news/world-south-asia-14041604. Retrieved 2011-09-03. ↑ 96.0 96.1 "Full transcript of bin Ladin's speech". Al Jazeera. November 2, 2004. Archived from the original on 2007-04-10. http://web.archive.org/web/20070613014620/http://english.aljazeera.net/English/archive/archive?ArchiveId=7403. Retrieved 2011-09-03. ↑ "Pakistan to Demand Taliban Give Up Bin Laden as Iran Seals Afghan Border". Fox News Channel. September 16, 2001. http://www.foxnews.com/story/0,2933,34440,00.html. Retrieved 2011-09-03. ↑ "Bin Laden on tape: Attacks 'benefited Islam greatly'". CNN. December 14, 2001. http://archives.cnn.com/2001/US/12/13/ret.bin.laden.videotape/. Retrieved 2011-09-03. "Reveling in the details of the fatal attacks, bin Laden brags in Arabic that he knew about them beforehand and says the destruction went beyond his hopes. He says the attacks "benefited Islam greatly"." ↑ "Transcript: Bin Laden video excerpts". BBC News. December 27, 2001. http://news.bbc.co.uk/2/hi/middle_east/1729882.stm. Retrieved 2011-09-03. ↑ Michael, Maggie (October 29, 2004). "Bin Laden, in statement to U.S. people, says he ordered Sept. 11 attacks". SignOnSanDiego.com. http://legacy.signonsandiego.com/news/nation/terror/20041029-1423-binladentape.html. Retrieved 2011-09-03. ↑ "Al-Jazeera: Bin Laden tape obtained in Pakistan". MSNBC. October 30, 2004. http://msnbc.msn.com/id/6363306/. Retrieved 2011-09-03. ↑ "Bin Laden 9/11 planning video aired". CBC News. September 7, 2006. Archived from the original on 2007-10-13. http://web.archive.org/web/20071013183902/http://www.cbc.ca/world/story/2006/09/07/al-qaeda-tape.html. Retrieved 2011-09-03. ↑ Clewley, Robin (September 27, 2001). "How Osama Cracked FBI's Top 10". Wired magazine. Archived from the original on 2012-05-26. https://archive.is/hoPk. Retrieved 2011-09-03. ↑ "USAMA BIN LADEN". FBI Ten Most Wanted Fugitive. Federal Bureau of Investigation. http://www.fbi.gov/wanted/topten/usama-bin-laden. Retrieved 2011-09-10. ↑ Baker, Peter; Cooper, Helene (May 1, 2011). "Bin Laden Is Dead, President Obama Says". New York Times. http://www.nytimes.com/2011/05/02/world/asia/osama-bin-laden-is-killed.html?hp. Retrieved 2011-09-03. ↑ Cooper, Helene (May 1, 2011). "Obama Announces Killing of Osama bin Laden". New York Times. http://thelede.blogs.nytimes.com/2011/05/01/bin-laden-dead-u-s-official-says/?scp=3&sq=Abbottabad,%20Pakistan%20&st=cse. Retrieved 2011-09-03. ↑ "'We left out nuclear targets, for now'". The Guardian. London. March 4, 2003. Archived from the original on 2008-03-02. http://web.archive.org/web/20080302075945/http://www.guardian.co.uk/international/story/0,3604,906911,00.html. Retrieved 2011-09-03. "Yosri Fouda of the Arabic television channel al-Jazeera is the only journalist to have interviewed Khalid Sheikh Mohammed, the al-Qaeda military commander arrested at the weekend. Here he describes the two-day encounter with him and his fellow organiser of September 11, Ramzi bin al- Shibh: [...] Summoning every thread of experience and courage, I looked Khalid in the eye and asked: ‘Did you do it?’ The reference to September 11 was implicit. Khalid responded with little fanfare: ‘I am the head of the al-Qaeda military committee,’ he began, ‘and Ramzi is the coordinator of the Holy Tuesday operation. And yes, we did it.’"
↑ Leonard, Tom; Spillius, Alex (October 10, 2008). "Alleged 9/11 mastermind wants to confess to plot". London: Telegraph. http://www.telegraph.co.uk/news/3685099/Alleged-911-mastermind-wants-to-confess-to-plot.html. Retrieved 2011-09-03. ↑ 109.0 109.1 "September 11 suspect 'confesses'". Al Jazeera. March 15, 2007. http://www.aljazeera.com/news/americas/2007/03/200852512026300115.html. Retrieved 2011-09-03. ↑ "White House power grabs". The Washington Times. August 26, 2009. http://www.washingtontimes.com/news/2009/aug/26/white-house-power-grabs/. Retrieved 2011-09-03. ↑ Van Voris, Bob; Hurtado, Patricia (April 4, 2011). "Khalid Sheikh Mohammed Terror Indictment Unsealed, Dismissed". BusinessWeek. http://www.businessweek.com/news/2011-04-04/khalid-sheikh-mohammed-terror-indictment-unsealed-dismissed.html. Retrieved 2011-09-03. ↑ Shannon, Elaine; Weisskopf, Michael (March 24, 2003). "Khalid Sheikh Mohammed Names Names". Time magazine. http://www.time.com/time/nation/article/0,8599,436061,00.html. Retrieved 2011-09-03. ↑ Nichols, Michelle (May 8, 2008). "US judge orders CIA to turn over 'torture' memo-ACLU". Reuters. http://www.reuters.com/article/2008/05/08/idUSN08420997. Retrieved 2011-09-03. 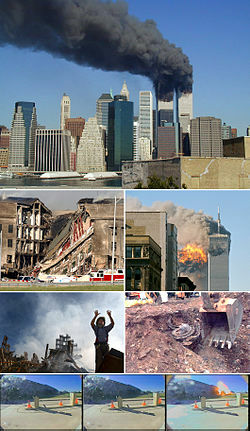 ↑ "Key 9/11 suspect 'admits guilt'". BBC News. March 15, 2007. http://news.bbc.co.uk/2/hi/americas/6452573.stm. Retrieved 2012-04-10. ↑ "Substitution for Testimony of Khalid Sheikh Mohammed" (PDF). United States District Court for the Eastern District of Virginia. United States Department of Justice. 2006. p. 24. http://www.vaed.uscourts.gov/notablecases/moussaoui/exhibits/defense/941.pdf. Retrieved 2011-09-03. ↑ "Spain jails 18 al-Qaeda operatives". The Age. Melbourne. September 27, 2005. http://www.theage.com.au/news/world/spain-jails-18-alqaeda-operatives/2005/09/27/1127586828047.html. Retrieved 2011-09-03. ↑ Naughton, Philippe (June 1, 2006). "Spanish court quashes 9/11 conviction". The Times. http://www.timesonline.co.uk/tol/news/world/us_and_americas/article670596.ece. Retrieved 2011-09-03. ↑ Youssef, Maamoun (May 24, 2006). "Bin Laden: Moussaoui Not Linked to 9/11". http://www.washingtonpost.com/wp-dyn/content/article/2006/05/23/AR2006052301688.html. ↑ "The Hamburg connection". BBC News. August 19, 2005. http://news.bbc.co.uk/2/hi/europe/2349195.stm. Yusufzai, Rahimullah (September 26, 2001). "Face to face with Osama". The Guardian. London. Archived from the original on 2008-01-19. http://web.archive.org/web/20080119011449/http://www.guardian.co.uk/g2/story/0,3604,558075,00.html. Retrieved 2011-09-03. "US pulls out of Saudi Arabia". BBC News. April 29, 2003. http://news.bbc.co.uk/2/hi/middle_east/2984547.stm. Retrieved 2011-09-03. "Saga of Dr. Zawahri Sheds Light On the Roots of al Qaeda Terror". Wall Street Journal. July 2, 2002. Archived from the original on 2005-12-23. http://web.archive.org/web/20051223041317/http://cryptome.org/zawahri-wsj.htm. Retrieved 2011-09-03. "Tenth Public Hearing, Testimony of Louis Freeh". 9/11 Commission. April 13, 2004. http://www.9-11commission.gov/archive/hearing10/9-11Commission_Hearing_2004-04-13.htm. Retrieved 2011-09-03. "Jihad Against Jews and Crusaders: World Islamic Front Statement". Federation of American Scientists. February 23, 1998. http://www.fas.org/irp/world/para/docs/980223-fatwa.htm. Retrieved 2011-09-03. ↑ bin Laden, Osama (November 24, 2002). "Full text: bin Laden's 'letter to America'". The Observer. http://www.guardian.co.uk/world/2002/nov/24/theobserver. Retrieved 2011-09-03. "Full transcript of bin Ladin's speech". aljazeera. http://www.aljazeera.com/archive/2004/11/200849163336457223.html. Retrieved 2012-04-10.
bin Laden, Osama (November 24, 2002). "Full text: bin Laden's 'letter to America'". The Observer. http://www.guardian.co.uk/world/2002/nov/24/theobserver. Retrieved 2011-09-03. ↑ "Full transcript of bin Laden's "Letter to America"". The Guardian. November 24, 2002. http://www.guardian.co.uk/world/2002/nov/24/theobserver. Retrieved 2011-09-03. ↑ bin Laden, Osama. "Full transcript of bin Ladin's speech". Al Jazeera. http://www.aljazeera.com/archive/2004/11/200849163336457223.html. Retrieved 2012-04-10. ""So I shall talk to you about the story behind those events and shall tell you truthfully about the moments in which the decision was taken, for you to consider""
↑ 133.0 133.1 133.2 "1998 Al Qaeda fatwā". Fas.org. February 23, 1998. http://www.fas.org/irp/world/para/docs/980223-fatwa.htm. Retrieved 2011-09-03. ↑ 134.0 134.1 Yusufzai, Rahimullah (September 26, 2001). "Face to face with Osama". The Guardian. London. http://www.guardian.co.uk/world/2001/sep/26/afghanistan.terrorism3. Retrieved 2011-09-03. ↑ Rockmore, Tom (April 21, 2011). Before and After 9/11: A Philosophical Examination of Globalization, Terror. ISBN 978-1-4411-1892-9. http://books.google.com/books?id=JC2NzdH0K1cC&lpg=PA125&dq=dictatorship%209%2F11%20saudi%20arabia&pg=PA130#v=onepage&q=dictatorship%209%2F11%20saudi%20arabia&f=false. Retrieved 2011-09-11. ↑ Bernard Lewis, 2004. In Bernard Lewis's 2004 book The Crisis of Islam: Holy War and Unholy Terror, he argues that animosity toward the West is best understood with the decline of the once powerful Ottoman empire, compounded by the import of western ideas — Arab socialism, Arab liberalism and Arab secularism. During the past three centuries, according to this interpretation, the Islamic world has lost its dominance and its leadership, and has fallen behind both the modern West and the rapidly modernizing Orient. The resulting, widening gap poses increasingly acute problems, both practical and emotional, for which the rulers, thinkers, and rebels of Islam have not yet found effective answers. ↑ In an essay titled "The spirit of terrorism", Jean Baudrillard described 9/11 as the first global event that "questions the very process of globalization". Baudrillard. "The spirit of terrorism". http://homes.chass.utoronto.ca/~ikalmar/illustex/baudriterror.htm. Retrieved 2011-06-26. ↑ "Suspect 'reveals 9/11 planning'". BBC News. September 22, 2003. http://news.bbc.co.uk/2/hi/south_asia/3128802.stm. Retrieved 2011-09-03. ↑ 148.0 148.1 148.2 148.3 9/11 Commission Report, Chapter 5, pp ?? ↑ Lichtblau, Eric (March 20, 2003). "Bin Laden Chose 9/11 Targets, Al Qaeda Leader Says". New York Times. http://query.nytimes.com/gst/fullpage.html?res=9404E7DF1031F933A15750C0A9659C8B63. Retrieved 2011-09-03. ↑ Wright (2006), pp. 309–315. ↑ McDermott (2005), pp. 191–2. ↑ Bernstein, Richard (September 10, 2002). "On Path to the U.S. Skies, Plot Leader Met bin Laden". New York Times. http://www.nytimes.com/2002/09/10/national/10PLOT.html?ex=1221624000&en=30bc6f683535b59f&ei=5070. Retrieved 2011-09-03. ↑ Wright (2006), pp. 304–7. ↑ "9/11 commission staff statement No. 16". 9/11 Commission. June 16, 2004. http://www.9-11commission.gov/staff_statements/staff_statement_16.pdf. Retrieved 2012-09-11. ↑ "Staff Monograph on 9/11 and Terrorist Travel" (PDF). 9/11 Commission. 2004. http://www.9-11commission.gov/staff_statements/911_TerrTrav_Monograph.pdf. Retrieved 2011-09-03. ↑ Irujo, Jose Maria (March 21, 2004). "Atta recibió en Tarragona joyas para que los miembros del 'comando' del 11-S se hiciesen pasar por ricos saudíes" (in Spanish). El Pais. http://elpais.com/diario/2004/03/21/espana/1079823611_850215.html. Retrieved 2012-04-10. ↑ 160.0 160.1 160.2 160.3 "We Have Some Planes" (PDF). The 911 Commission Report. 911 Commission. pp. 20–42. http://www.9-11commission.gov/report/911Report.pdf. Retrieved 2011-09-09. ↑ "Cheney: Order To Shoot Down Hijacked 9/11 Planes 'Necessary'". September 4, 2011. http://www.foxnews.com/politics/2011/09/04/cheney-order-to-shoot-down-hijacked-11-planes-necessary/. Retrieved 2011-09-09. ↑ Schrader, Esther (June 18, 2004). "Cheney Gave Order to Shoot Down Jets". http://articles.latimes.com/2004/jun/18/nation/na-cheney18. Retrieved 2011-09-09. ↑ Greer, Gordon (2005). What Price Security?. iUniverse, Inc. p. 73. ISBN 0-595-35792-X. http://books.google.com/books?id=MNHGZWiLBL4C&pg=PA73&dq=fighters+told+to+shoot+down+airliner+on+9/11#v=onepage&q=fighters%20told%20to%20shoot%20down%20airliner%20on%209%2F11&f=false. ↑ Hendrix, Steve (September 8, 2011). "F-16 pilot was ready to give her life on Sept. 11". http://www.washingtonpost.com/local/f-16-pilot-was-ready-to-give-her-life-on-sept-11/2011/09/06/gIQAMpcODK_story.html. Retrieved 2011-09-09. ↑ FDC (April 13, 2007). "NOTAMs/Flight Restrictions in Effect on 9/13/01" (PDF). Federal Bureau of Investigation (hosted at JudicialWatch). p. 15ff. http://www.judicialwatch.org/archive/2007/Saudi%20Docs%202.pdf. ↑ 166.0 166.1 "Wartime". National Commission on Terrorists Attacks upon the United States. U.S. Congress. http://www.9-11commission.gov/report/911Report_Ch10.htm. Retrieved 2011-09-03. ↑ "Actions taken following September 11 terrorist attacks". Transport Canada. December 11, 2001. Archived from the original on 2002-04-15. http://web.archive.org/web/20020415131425/http://www.tc.gc.ca/mediaroom/releases/nat/2001/01_h152e.htm. Retrieved 2011-09-03. ↑ Stein, Howard F. (2003). "Days of Awe: September 11, 2001 and its Cultural Psychodynamics". Columbus, OH: Ohio State University Press. pp. 187–199. Digital object identifier:10.1353/psy.2003.0047. ↑ "Asthma Rates Up Among Ground Zero Workers". CBS News. Sep. 10, 2009. http://www.cbsnews.com/2100-204_162-3207507.html. Retrieved Sep. 11, 2013. ↑ Glynn, Simone A.; Busch, MP; Schreiber, GB; Murphy, EL; Wright, DJ; Tu, Y; Kleinman, SH; Nhlbi Reds Study, Group (2003). "Effect of a National Disaster on Blood Supply and Safety: The September 11 Experience". pp. 2246–2253. Digital object identifier:10.1001/jama.289.17.2246. PMID 12734136. http://jama.ama-assn.org/content/289/17/2246.long. ↑ "Red Cross Woes". PBS. December 19, 2001. http://www.pbs.org/newshour/bb/business/july-dec01/redcross_12-19.html. Retrieved 2011-09-03. ↑ Coates, S.; Schechter, D. (2004). "Preschoolers' traumatic stress post-9/11: Relational and developmental perspectives". pp. 473–489. Digital object identifier:10.1016/j.psc.2004.03.006. PMID 15325488. ↑ Klein, T. P.; Devoe, E. R.; Miranda-Julian, C.; Linas, K. (2009). "Young children's responses to September 11th: The New York City experience" (PDF). p. 1. Digital object identifier:10.1002/imhj.20200. http://onlinelibrary.wiley.com/doi/10.1002/imhj.20200/pdf. ↑ "Bush's War". http://www.pbs.org/wgbh/pages/frontline/bushswar/. Retrieved 2011-09-04. ↑ Roberts, Joel (September 4, 2002). "Plans For Iraq Attack Began On 9/11". CBS News. http://www.cbsnews.com/stories/2002/09/04/september11/main520830.shtml. Retrieved 2011-09-04. ↑ Borger, Julian (February 24, 2006). "Blogger bares Rumsfeld's post 9/11 orders". London. http://www.guardian.co.uk/world/2006/feb/24/freedomofinformation.september11. Retrieved 2009-10-07. ↑ "Statement by the North Atlantic Council". NATO. September 15, 2001. http://www.nato.int/docu/pr/2001/p01-124e.htm. Retrieved 2011-09-04. ""Article 5: The Parties agree that an armed attack against one or more of them in Europe or North America shall be considered an attack against them all and consequently they agree that, if such an armed attack occurs, each of them, in exercise of the right of individual or collective self-defence recognised by Article 51 of the Charter of the United Nations, will assist the Party or Parties so attacked by taking forthwith, individually and in concert with the other Parties, such action as it deems necessary, including the use of armed force, to restore and maintain the security of the North Atlantic area. / Any such armed attack and all measures taken as a result thereof shall immediately be reported to the Security Council. Such measures shall be terminated when the Security Council has taken the measures necessary to restore and maintain international peace and security."" ↑ Kuppuswamy, C.S. (November 2, 2005). "Terrorism in Indonesia : Role of the Religious Organisation". South Asia Analysis Group. Archived from the original on 2007-06-11. http://web.archive.org/web/20070611032357/http://www.saag.org/papers16/paper1596.html. Retrieved 2011-09-04. ↑ "Presidential Approval Ratings – George W. Bush". Gallup. http://www.gallup.com/poll/116500/Presidential-Approval-Ratings-George-Bush.aspx. Retrieved 2011-09-04. ↑ Pooley, Eric (December 31, 2001). "Mayor of the World". Person of the Year 2001. Time Magazine. http://www.time.com/time/specials/packages/article/0,28804,2020227_2020306,00.html. Retrieved 2011-09-04. ↑ Barrett, Devlin (December 23, 2003). "9/11 Fund Deadline Passes". CBS News. http://www.cbsnews.com/stories/2004/01/16/national/main593715.shtml. Retrieved 2011-09-04. ↑ "'Shadow Government' News To Congress". CBS News. March 2, 2002. http://www.cbsnews.com/stories/2002/03/01/attack/main502530.shtml. Retrieved 2011-09-04. ↑ "The USA PATRIOT Act: Preserving Life and Liberty". United States Department of Justice. Archived from the original on 2010-01-02. http://web.archive.org/web/20100102035036/http://www.justice.gov/archive/ll/highlights.htm. Retrieved 2011-09-04. ↑ "Uncle Sam Asks: "What The Hell Is Going On Here?" in New ACLU Print and Radio Advertisements". American Civil Liberties Union. September 3, 2003. http://www.aclu.org/national-security/uncle-sam-asks-what-hell-going-herein-new-aclu-print-and-radio-advertisements. Retrieved 2012-04-10. ↑ Eggen, Dan (September 30, 2004). "Key Part of Patriot Act Ruled Unconstitutional". Washington Post. http://www.washingtonpost.com/wp-dyn/articles/A59626-2004Sep29.html. Retrieved 2011-09-04. ↑ "Federal judge rules 2 Patriot Act provisions unconstitutional". CNN. September 26, 2007. http://www.cnn.com/2007/US/law/09/26/patriot.act/index.html. Retrieved 2011-09-04. ↑ VandeHei, Jim; Eggen, Dan (January 5, 2006). "Cheney Cites Justifications For Domestic Eavesdropping". Washington Post. http://www.washingtonpost.com/wp-dyn/content/article/2006/01/04/AR2006010400973.html. Retrieved 2011-09-04. ↑ "New York City Commission on Human Rights". Nyc.gov. http://www.nyc.gov/html/cchr/html/report.html. Retrieved 2011-10-23. ↑ "Post-9/11, US policies created atmosphere of fear for South Asians". The Indian Express. August 25, 2011. http://www.indianexpress.com/news/post9-11-us-policies-created-atmosphere-of-fear-for-south-asians/836936. Retrieved 2011-10-23. ↑ 194.0 194.1 "Hate crime reports up in wake of terrorist attacks". CNN. September 17, 2001. http://archives.cnn.com/2001/US/09/16/gen.hate.crimes. Retrieved 2011-09-04. ↑ "Many minority groups were victims of hate crimes after 9-11". Ball State University. October 9, 2003. http://www.bsu.edu/news/article/0,1370,-1019-12850,00.html. Retrieved 2011-09-04. ↑ "American Backlash: Terrorist Bring War Home in More Ways Than One" (PDF). SAALT. 2003. http://www.saalt.org/attachments/1/American%20Backlash%20report.pdf. Retrieved 2011-09-04. ↑ Thayil, Jeet (October 12, 2001). "645 racial incidents reported in week after September 11". http://www.highbeam.com/doc/1P1-79281024.html. ↑ American Muslim Leaders. "Muslim Americans Condemn Attack". ISNA. http://www.islamicity.com/articles/Articles.asp?ref=AM0109-335. Retrieved 2011-09-04. ↑ Hertzberg, Hendrik (September 11, 2006). "Lost love". The New Yorker. Archived from the original on 2010-08-30. http://www.webcitation.org/5sMTJrWkY. Retrieved 2011-09-04. ↑ "Attacks draw mixed response in Mideast". CNN. September 12, 2001. http://archives.cnn.com/2001/WORLD/europe/09/12/mideast.reaction/index.html. Retrieved 2011-09-04. ↑ "The Kingdom and the Towers". Vanity Fair. http://www.vanityfair.com/politics/features/2011/08/9-11-2011-201108. Retrieved 2011-09-04. ↑ "UK | Muslim community targets racial tension". BBC News. September 19, 2001. http://news.bbc.co.uk/2/hi/uk_news/1551868.stm. Retrieved 2012-04-11. ↑ "Security Council Condemns, 'In Strongest Terms', Terrorist Attacks on the United States". United Nations. September 12, 2001. http://www.un.org/News/Press/docs/2001/SC7143.doc.htm. Retrieved 2006-09-11. "The Security Council today, following what it called yesterday’s "horrifying terrorist attacks" in New York, Washington, D.C., and Pennsylvania, unequivocally condemned those acts, and expressed its deepest sympathy and condolences to the victims and their families and to the people and Government of the United States." ↑ Hamilton, Stuart (August 24, 2002). "September 11, the Internet, and the effects on information provision in Libraries" (PDF). 68th IFLA Council and Conference. http://archive.ifla.org/IV/ifla68/papers/156-079e.pdf. Retrieved 2011-09-04. ↑ "G8 counter-terrorism cooperation since September 11 backgrounder". Site Internet du Sommet du G8 d'Evian. http://www.g8.fr/evian/english/navigation/g8_documents/archives_from_previous_summits/kananaskis_summit_-_2002/g8_counter-terrorism_cooperation_since_september_11th_backgrounder.html. Retrieved 2011-09-04. ↑ Walsh, Courtney C (March 7, 2002). "Italian police explore Al Qaeda links in cyanide plot". The Christian Science Monitor. http://www.csmonitor.com/2002/0307/p07s02-woeu.html. Retrieved 2011-09-04. ↑ "SE Asia unites to smash militant cells". CNN. May 8, 2002. http://edition.cnn.com/2002/WORLD/asiapcf/southeast/05/07/seasia.terror.pact/. Retrieved 2011-09-04. ↑ "U.S. President Bush's speech to United Nations". CNN. November 10, 2001. http://archives.cnn.com/2001/US/11/10/ret.bush.un.transcript/index.html. Retrieved 2011-09-04. ↑ "Musharraf 'bullied' into supporting US war on terror". December 11, 2009. http://zeenews.india.com/news/south-asia/musharraf-bullied-into-supporting-us-war-on-terror-ex-general_586640.html. Retrieved 2011-09-04. ↑ Khan, Aamer Ahmed (May 4, 2005). "Pakistan and the 'key al-Qaeda' man". BBC. http://news.bbc.co.uk/2/hi/south_asia/4513281.stm. Retrieved 2011-09-04. ↑ "Euro MPs urge Guantanamo closure". BBC News. June 13, 2006. http://news.bbc.co.uk/2/hi/americas/5074216.stm. Retrieved 2011-09-04. ↑ Mendez, Juan E. (March 13, 2002). "Detainees in Guantanamo Bay, Cuba; Request for Precautionary Measures, Inter-Am. C.H.R". University of Minnesota. http://www1.umn.edu/humanrts/cases/guantanamo-2003.html. Retrieved 2011-09-04. ↑ "USA: Release or fair trials for all remaining Guantánamo detainees". Amnesty International. May 2, 2008. http://www.amnesty.org/en/for-media/press-releases/usa-release-or-fair-trials-all-remaining-guant%C3%A1namo-detainees-20080502. Retrieved 2011-09-04. ↑ Makinen, Gail (September 27, 2002). "The Economic Effects of 9/11: A Retrospective Assessment" (PDF). Congressional Research Service. Library of Congress. p. 17. http://www.fas.org/irp/crs/RL31617.pdf. Retrieved 2011-09-04. ↑ Barnhart, Bill (September 17, 2001). "Markets reopen, plunge". Chicago Tribune. http://www.chicagotribune.com/business/chi-010917markets,0,5287650.story. Retrieved 2012-04-11. ↑ 220.0 220.1 Bob, Fernandez (September 22, 2001). "U.S. Markets Decline Again". KRTBN Knight Ridder Tribune Business News. The Philadelphia Inquirer. ↑ Dolfman, Michael L.; Wasser, Solidelle F. (2004). "9/11 and the New York City Economy". ↑ 222.0 222.1 Makinen, Gail (September 27, 2002). "The Economic Effects of 9/11: A Retrospective Assessment" (PDF). Congressional Research Service. Library of Congress. p. 5. http://www.fas.org/irp/crs/RL31617.pdf. Retrieved 2011-09-04. ↑ Hensell, Lesley (December 14, 2001). "Tough Times Loom For Manhattan Commercial Market". Realty Times. http://realtytimes.com/rtpages/20011214_downtown.htm. Retrieved 2011-09-04. ↑ Parrott, James (March 8, 2002). "The Employment Impact of the September 11 World Trade Center Attacks: Updated Estimates based on the Benchmarked Employment Data" (PDF). The Fiscal Policy Institute. http://www.fiscalpolicy.org/Employment%20Impact%20of%20September%2011_Update.pdf. Retrieved 2011-09-04. ↑ Russell, James S. (November 7, 2004). "Do skyscrapers still make sense? Revived downtowns and new business models spur tall-building innovation". Architectural Record. http://archrecord.construction.com/innovation/2_Features/0411SkyscraperSense.asp. Retrieved 2011-09-04. ↑ Bhadra, Dipasis; Texter, Pamela (2004). "Airline Networks: An Econometric Framework to Analyze Domestic U.S. Air Travel". United States Department of Transportation. http://www.bts.gov/publications/journal_of_transportation_and_statistics/volume_07_number_01/html/paper_06/. Retrieved 2011-09-04. ↑ Heath, Thomas (May 3, 2011). "Bin Laden’s war against the U.S. economy". The Washington Post. http://www.washingtonpost.com/blogs/ezra-klein/post/bin-ladens-war-against-the-us-economy/2011/04/27/AFDOPjfF_blog.html. ↑ Khimm, Suzy (May 3, 2011). "Osama bin Laden didn’t win, but he was ‘enormously successful’". The Washington Post. http://www.washingtonpost.com/business/economy/osama-bin-laden-didnt-win-but-he-was-enormously-successful/2011/05/02/AFexZjbF_story.html. ↑ Gates, Anita (September 11, 2006). "Buildings Rise from Rubble while Health Crumbles". The New York Times. http://www.nytimes.com/2006/09/11/arts/television/11dust.html?ref=nyregionspecial3. Retrieved 2011-09-04. ↑ "What was Found in the Dust". New York Times. September 5, 2006. http://www.nytimes.com/imagepages/2006/09/05/nyregion/20060905_HEALTH_GRAPHIC.html. Retrieved 2011-09-04. ↑ "New York: 9/11 toxins caused death". CNN. May 24, 2007. Archived from the original on 2007-06-18. http://web.archive.org/web/20070618154824/http://www.cnn.com/2007/US/05/24/wtc.dust/index.html. Retrieved 2011-09-04. ↑ DePalma, Anthony (May 13, 2006). "Tracing Lung Ailments That Rose With 9/11 Dust". The New York Times. http://www.nytimes.com/2006/05/13/nyregion/13symptoms.html. Retrieved 2011-09-04. ↑ Heilprin, John (June 23, 2003). "White House edited EPA's 9/11 reports". Seattle Post-Intelligencer. http://www.seattlepi.com/default/article/White-House-edited-EPA-s-9-11-reports-1122465.php?rand=26878.51. Retrieved 2011-09-04. ↑ "Updated Ground Zero Report Examines Failure of Government to Protect Citizens". Sierra Club. 2006. Archived from the original on 2010-06-11. http://web.archive.org/web/20100611191219/http://www.sierraclub.org/groundzero/. Retrieved 2011-09-04. ↑ Smith, Stephen (April 28, 2008). "9/11 "Wall Of Heroes" To Include Sick Cops". CBS News. http://www.cbsnews.com/stories/2008/04/28/national/main4049362.shtml. Retrieved 2011-09-04. ↑ Shukman, David (September 1, 2011). "Toxic dust legacy of 9/11 plagues thousands of people". BBC News. http://www.bbc.co.uk/news/world-us-canada-14738140. Retrieved 2011-09-11. ↑ "CCCEH Study of the Effects of 9/11 on Pregnant Women and Newborns" (PDF). World Trade Center Pregnancy Study. Columbia University. 2006. http://www.familiesofseptember11.org/docs/CCCEH%20Study%20Intro.pdf. Retrieved 2011-09-04. ↑ Grady, Denise (April 7, 2010). "Lung Function of 9/11 Rescuers Fell, Study Finds". http://www.nytimes.com/2010/04/08/nyregion/08lung.html. Retrieved 2011-09-04. ↑ DePalma, Anthony (October 18, 2006). "Many Ground Zero Workers Gain Chance at Lawsuits". The New York Times. http://www.nytimes.com/2006/10/18/nyregion/nyregionspecial3/18toxic.html?ref=nyregion. Retrieved 2011-09-04. ↑ Neumeister, Larry (February 2, 2006). "Judge Slams Ex-EPA Chief Over Sept. 11". San Francisco Chronicle. Archived from the original on 2008-05-24. http://web.archive.org/web/20080524084609/http://www.sfgate.com/cgi-bin/article.cgi?file=/n/a/2006/02/02/national/a142556S81.DTL. Retrieved 2011-09-04. ↑ Smith, Ben (September 18, 2006). "Rudy's black cloud. WTC health risks may hurt Prez bid". Daily News (New York). http://www.nydailynews.com/archives/news/rudy-black-cloud-wtc-health-risks-hurt-prez-bid-article-1.618126. Retrieved 2015-04-04. ↑ "Bloomberg urges passage of 9/11 health bill". CNN. December 20, 2010. http://articles.cnn.com/2010-12-22/politics/911.bill_1_first-responders-funding-votes-house-members?_s=PM:POLITICS. ↑ 244.0 244.1 "World Trade Center Health Program FAQ". Centers for Disease Control and Prevention. http://www.cdc.gov/wtc/faq.html. Retrieved 2012-07-02. ↑ Scobell, Andrew (2004). "Terrorism in the Asia-Pacific: Threat and Response". pp. 1078–9. Digital object identifier:10.1017/S0021911804002463. http://journals.cambridge.org/action/displayAbstract?fromPage=online&aid=788144. Retrieved 2011-09-04. ↑ Miko, Francis; Froehlich, Christian (December 27, 2004). "Germany's Role in Fighting Terrorism: Implications for U.S. Policy". Federation of American Scientists. http://www.fas.org/irp/crs/RL32710.pdf. Retrieved 2011-09-04. ↑ "Anti-terrorism Act". February 27, 2007. Archived from the original on 2004-04-04. http://web.archive.org/web/20040404011851/http://www.cbc.ca/news/background/cdnsecurity/. Retrieved 2011-09-04. ↑ "Q and A: Anti-terrorism legislation". BBC News. October 17, 2003. http://news.bbc.co.uk/2/hi/uk_news/3197394.stm. Retrieved 2011-09-04. ↑ Coates, Sam (November 10, 2005). "After all the fuss dies down, what really happened". The Times. http://www.timesonline.co.uk/tol/news/uk/article588553.ece. Retrieved 2011-09-04. ↑ "Terrorism Suppression Act 2002". New Zealand Government. http://legislation.co.nz/act/public/2002/0034/19.0/DLM2493700.html. Retrieved 2011-09-04. ↑ Bernardo J. Carducci (February 20, 2009). The Psychology of Personality: Viewpoints, Research, and Applications. Wiley-Blackwell. pp. 200–. ISBN 978-1-4051-3635-8. http://books.google.com/books?id=1gJPXv5wQbIC&pg=PA200. Retrieved 2012-01-16. ↑ Norman, Joshua (September 11, 2011). "9/11 conspiracy theories won't stop". CBS Corporation. http://www.cbsnews.com/stories/2011/09/11/national/main20104377.shtml. ↑ Huffington Post (August 29, 2011). "After 9/11, Some Run Toward Faith, Some Run The Other Way". http://www.huffingtonpost.com/2011/08/29/september-11-challenged-faith_n_941017.html. Retrieved 2013-04-06. ↑ PBS Frontline. "Faith and Doubt at Ground Zero – The Question of God". http://www.pbs.org/wgbh/pages/frontline/shows/faith/questions/god.html. Retrieved 2013-04-06. ↑ Brad Schmidt, Ph.d.. "Anxiety After 9/11". http://www.psychologytoday.com/articles/200201/anxiety-after-911. Retrieved 2013-10-11. ↑ "9/11 Investigation (PENTTBOM)". Federal Bureau of Investigation. http://www.fbi.gov/about-us/history/famous-cases/9-11-investigation/9-11-investigation. Retrieved 2012-04-11. ↑ "Testimony of Dale L. Watson, Executive Assistant Director, Counterterrorism/Counterintelligence Division, FBI Before the Senate Select Committee on Intelligence". Federal Bureau of Investigation. February 6, 2002. Archived from the original on 2008-05-24. http://web.archive.org/web/20100410013616/http://www.fbi.gov/congress/congress02/watson020602.htm. Retrieved 2011-09-04. ↑ Sperry, Paul. "Airline denied Atta Paradise Wedding Suit". World News Daily. http://www.wnd.com/2002/09/15172/. Retrieved 2013-05-05. ↑ "Unraveling 9–11 Was in the Bags". Newsday. February 6, 2009. http://www.securityinfowatch.com/news/10555883/unraveling-9-11-was-in-the-bags. Retrieved 2012-04-11. ↑ "FBI Announces List of 19 Hijackers". Federal Bureau of Investigation. http://www.fbi.gov/news/pressrel/press-releases/fbi-announces-list-of-19-hijackers. Retrieved 2011-09-04. ↑ "Piece by piece, the jigsaw of terror revealed". September 30, 2001. Archived from the original on 2009-10-15. http://web.archive.org/web/20091015065134/http://www.independent.co.uk/news/world/americas/piece-by-piece-the-jigsaw-of-terror-revealed-671334.html. Retrieved 2011-09-04. ↑ Tagliabue, John; Bonner, Raymond (September 29, 2001). "A Nation challenged: German Intelligence; German Data Led U.S. to Search For More Suicide Hijacker Teams". The New York Times. http://query.nytimes.com/gst/fullpage.html?res=9A0DE5DA173DF93AA1575AC0A9679C8B63. Retrieved 2011-09-04. ↑ "The FBI Releases 19 Photographs of Individuals Believed to be the Hijackers of the Four Airliners that Crashed on September 11, 2001". Federal Bureau of Investigation. http://www.fbi.gov/news/pressrel/press-releases/the-fbi-releases-19-photographs-of-individuals-believed-to-be-the-hijackers. Retrieved 2011-09-04. ↑ Johnston, David (September 9, 2003). "TWO YEARS LATER: 9/11 TACTICS; Official Says Qaeda Recruited Saudi Hijackers to Strain Ties". http://www.nytimes.com/2003/09/09/us/two-years-later-9-11-tactics-official-says-qaeda-recruited-saudi-hijackers.html. Retrieved 2011-09-04. ↑ "National Commission on Terrorist Attacks Upon the United States". govinfo.library.unt.edu. http://govinfo.library.unt.edu/911/about/bio_kean.htm. Retrieved 2011-09-04. ↑ "Foresight-and Hindsight". National Commission on Terrorist Attacks Upon the United States. National Commission on Terrorist Attacks Upon the United States. http://www.9-11commission.gov/report/911Report_Ch11.htm. Retrieved 2011-09-04. ↑ Bennett, Brian (August 30, 2011). "Post-9/11 assessment sees major security gaps". http://articles.latimes.com/2011/aug/30/nation/la-na-911-report-card-20110831. Retrieved 2011-09-04. ↑ "NIST's World Trade Center Investigation". National Institute of Standards and Technology. U.S. Department of Commerce. December 14, 2007. http://www.nist.gov/public_affairs/factsheet/nist_investigation_911.cfm. Retrieved 2011-09-04. ↑ 272.0 272.1 "NIST WTC 7 Investigation Finds Building Fires Caused Collapse". The National Institute of Standards and Technology. http://www.nist.gov/public_affairs/releases/wtc-082108.cfm. Retrieved 2011-09-04. ↑ National Construction Safety Team (September 2005). "Executive Summary" (PDF). Final Report on the Collapse of the World Trade Center Towers. United States Department of Commerce. http://www.nist.gov/customcf/get_pdf.cfm?pub_id=909017. Retrieved 2011-04-10. ↑ Irfanoglu, A.; Hoffmann, C. M. (2008). "Engineering Perspective of the Collapse of WTC-I". American Society of Civil Engineers. p. 62. Digital object identifier:10.1061/(ASCE)0887-3828(2008)22:1(62). "As the aircraft debris went through several stories in the tower, much of the thermal insulation on the core columns would have been scoured off. Under such conditions, the ensuing fire would be sufficient to cause instability and initiate collapse. From an engineering perspective, impact damage to the core structure had a negligible effect on the critical thermal load required to initiate collapse in the core structure." ↑ Tally, Steve (June 12, 2007). "Purdue creates scientifically based animation of 9/11 attack". Purdue News Service. http://news.uns.purdue.edu/x/2007a/070612HoffmannWTC.html. Retrieved 2011-09-04. "The aircraft moved through the building as if it were a hot and fast lava flow," Sozen says. "Consequently, much of the fireproofing insulation was ripped off the structure. Even if all of the columns and girders had survived the impact – an unlikely event – the structure would fail as the result of a buckling of the columns. The heat from an ordinary office fire would suffice to soften and weaken the unprotected steel. Evaluation of the effects of the fire on the core column structure, with the insulation removed by the impact, showed that collapse would follow whatever the number of columns cut at the time of the impact." ↑ Sigmund, Pete (September 25, 2002). "Building a Terror-Proof Skyscraper: Experts Debate Feasibility, Options". http://www.constructionequipmentguide.com/Building-a-Terror-Proof-Skyscraper-Experts-Debate-Feasibility-Options/2598/. Retrieved 2012-04-11. ↑ "Translating WTC Recommendations Into Model Building Codes". National Institute of Standards and Technology. October 25, 2007. Archived from the original on 2011-03-10. http://web.archive.org/web/20110310004023/http://wtc.nist.gov/NIBS_MMC/CodeChangeProposals.htm. Retrieved 2011-09-04. ↑ "Deep Background". American Conservative. April 1, 2005. http://www.theamericanconservative.com/article/2005/aug/01/00027/. Retrieved 2012-04-11. ↑ Shrader, Katherine (May 17, 2007). "Senators Want CIA to Release 9/11 Report". San Francisco Chronicle. Archived from the original on 2007-10-17. http://web.archive.org/web/20071017005618/http://www.sfgate.com/cgi-bin/article.cgi?f=/n/a/2007/05/17/national/w131436D49.DTL. Retrieved 2011-09-04. ↑ Taylor, Tess (September 26, 2001). "Rebuilding in New York". Architecture Week. http://www.architectureweek.com/2001/0926/today.html. Retrieved 2011-09-04. ↑ Oglesby, Christy (September 11, 2002). "Phoenix rises: Pentagon honors 'hard-hat patriots'". CNN. http://archives.cnn.com/2002/US/09/11/ar911.memorial.pentagon/. Retrieved 2011-09-04. ↑ Bagli, Charles V. (September 22, 2006). "An Agreement Is Formalized on Rebuilding at Ground Zero". The New York Times. http://select.nytimes.com/gst/abstract.html?res=F20913F63A550C718EDDA00894DE404482. Retrieved 2011-09-04. ↑ Dunlap, David W.; Collins, Glenn (June 28, 2006). "Revised Design for Freedom Tower Unveiled". The New York Times. http://www.nytimes.com/2006/06/28/nyregion/28cnd-freedom.html?_r=1&pagewanted=1&ei=5094&en=43f0767f75b25082&hp&ex=1151553600&partner=homepage. Retrieved 2011-09-04. ↑ "Lower Manhattan: Current Construction". Lower Manhattan Construction Command Center. http://www.lowermanhattan.info/construction/project_updates/. Retrieved 2011-09-08. ↑ Sigmund, Pete. "Crews Assist Rescuers in Massive WTC Search". Construction Equipment Guide. http://www.constructionequipmentguide.com/Crews-Assist-Rescuers-in-Massive-WTC-Search/1531/. Retrieved 2011-09-04. ↑ "Tribute in light to New York victims". BBC News. March 6, 2002. http://news.bbc.co.uk/2/hi/americas/1857699.stm. Retrieved 2012-04-01. ↑ "About the World Trade Center Site Memorial Competition". World Trade Center Site Memorial Competition. http://wtcsitememorial.org/about.html. Retrieved 2011-09-04. ↑ "WTC Memorial Construction Begins". CBS News. March 6, 2006. http://www.cbsnews.com/stories/2006/03/13/national/main1393070.shtml. Retrieved 2011-09-04. ↑ Dunlap, David (September 25, 2005). "Governor Bars Freedom Center at Ground Zero". The New York Times. http://www.nytimes.com/2005/09/29/nyregion/29freedom.html. Retrieved 2011-09-04. ↑ Miroff, Nick (September 11, 2008). "Creating a Place Like No Other". The Washington Post. The Washington Post Company. http://www.washingtonpost.com/wp-dyn/content/article/2008/09/10/AR2008091000018.html. Retrieved 2011-09-04. ↑ Miroff, Nick (September 12, 2008). "A Long-Awaited Opening, Bringing Closure to Many". The Washington Post. The Washington Post Company. http://www.washingtonpost.com/wp-dyn/content/article/2008/09/11/AR2008091100579.html?hpid=topnews. Retrieved 2011-09-04. ↑ Dwyer, Timothy (May 26, 2007). "Pentagon Memorial Progress Is Step Forward for Families". The Washington Post. http://www.washingtonpost.com/wp-dyn/content/article/2007/05/25/AR2007052502284.html. Retrieved 2011-09-04. ↑ "DefenseLINK News Photos – Pentagon's America's Heroes Memorial". Department of Defense. http://www.defenselink.mil/photos/newsphoto.aspx?newsphotoid=4018. Retrieved 2011-09-04. ↑ "Sept. 11 Flight 93 Memorial Design Chosen". Fox News. September 8, 2005. http://www.foxnews.com/story/0,2933,168821,00.html. Retrieved 2011-09-04. ↑ "Flight 93 Memorial Project". Flight 93 Memorial Project / National Park Service. Archived from the original on 2008-04-11. http://web.archive.org/web/20080411125737/http://www.nps.gov/flni. Retrieved 2011-09-04. ↑ Nephin, Dan (August 24, 2008). "Steel cross goes up near flight's 9/11 Pa. crash site". http://global.christianpost.com/news/steel-cross-installed-near-flight-93-site-in-pa-33978/. Retrieved 2011-09-05. ↑ Gaskell, Stephanie (August 25, 2008). "Pa. site of 9/11 crash gets WTC beam". New York Daily news. http://www.nytimes.com/2008/05/05/us/05memorial.html. Retrieved 2011-09-04. ↑ Fessenden, Ford (November 18, 2002). "9/11; After the World Gave: Where $2 Billion in Kindness Ended Up". The New York Times. http://query.nytimes.com/gst/fullpage.html?res=9505E3DB1030F93BA25752C1A9649C8B63. Retrieved 2011-09-04. ↑ Newman, Andy (September 11, 2010). 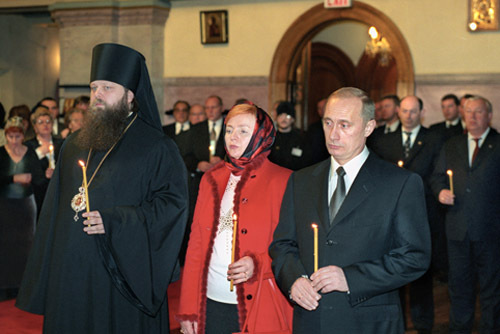 "At a Memorial Ceremony, Loss and Tension". The New York Times. http://cityroom.blogs.nytimes.com/2010/09/11/at-a-memorial-ceremony-loss-and-tension/?hp. "Chapter 1.1: 'We Have Some Planes': Inside the Four Flights" (PDF). 9/11 Commission Report. National Commission on Terrorist Attacks Upon the United States. 2004. http://www.9-11commission.gov/report/911Report_Ch1.pdf. Alavosius, Mark P.; Rodriquez, Nischal J. (2005). "Unity of Purpose/Unity of Effort: Private-Sector Preparedness in Times of Terror". p. 666. Digital object identifier:10.1108/09653560510634098. "American Airlines Flight 77 FDR Report" (PDF). National Transportation Safety Board. January 31, 2002. http://www.ntsb.gov/doclib/foia/9_11/AAL77_fdr.pdf. Retrieved 2011-09-03. Averill, Jason D. (2005) (PDF). Final Reports of the Federal Building and Fire Investigation of the World Trade Center Disaster. National Institute of Standards and Technology (NIST). Archived from the original on 2009-05-09. http://web.archive.org/web/20090509033658/http://wtc.nist.gov/NCSTAR1/PDF/NCSTAR%201-7.pdf. Retrieved 2011-09-02. Bergen, Peter L. (2001). Holy War, Inc.: Inside the Secret World of Osama Bin Laden. Simon and Schuster. ISBN 978-0-7432-3467-2. http://books.google.com/books?id=sRhZDrJb0zgC&pg=PP1. Bergen, Peter (2006). The Osama Bin Laden I Know: An Oral History of Al Qaeda's Leader. Simon and Schuster. ISBN 978-0-7432-9592-5. http://books.google.com/books?id=_XkM92XMlQ4C&pg=PP1. Berner, Brad (2007). The World According to Al Qaeda. Peacock Books. ISBN 978-81-248-0114-7. http://books.google.com/books?id=smP3gFyQpXQC&pg=PP1. Dwyer, Jim; Flynn, Kevin (2005). 102 Minutes. Times Books. ISBN 978-0-8050-7682-0. http://books.google.com/books?id=-Ctk6LxDDR8C&pg=PP1#v=onepage&q&f=false. "Final Report on the Collapse of World Trade Center Building 7" (PDF). National Institute of Standards and Technology. November 2008. http://www.nist.gov/customcf/get_pdf.cfm?pub_id=861610. Retrieved 2012-04-11. "Flight Path Study – American Airlines Flight 77" (PDF). National Transportation Safety Board. February 19, 2002. http://www.gwu.edu/~nsarchiv/NSAEBB/NSAEBB196/doc02.pdf. Retrieved 2011-09-03. Fouda, Yosri; Fielding, Nick (2004). Masterminds of Terror: The Truth Behind the Most Devastating Terrorist Attack the World Has Ever Seen. Arcade Publishing. ISBN 978-1-55970-717-6. http://books.google.com/books?id=IASlEi7rogIC&pg=PP1. Goldberg, Alfred (2007). Pentagon 9/11. Washington, D.C.: Government Printing Office. ISBN 978-0-16-078328-9. http://books.google.com/books?id=wfhI5oc41sMC&pg=PP1. Gunaratna, Ronan (2002). Inside Al Qaeda: global network of terror. Columbia University Press. ISBN 978-0-231-12692-2. http://books.google.com/books?id=rO2HY8unF_sC&pg=PR4. Holmes, Stephen (2006). "Al Qaeda, September 11, 2001". In Diego Gambetta. Making sense of suicide missions. Oxford University Press. ISBN 978-0-19-929797-9. http://books.google.com/books?id=eciSejVv-YoC&pg=PP1#v=onepage&q&f=false. 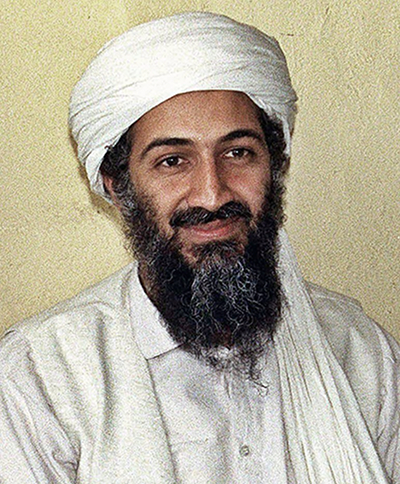 Ibrahim, Raymond; Osama Bin Laden (2007). The Al Qaeda reader. Random House Digital, Inc.. ISBN 978-0-385-51655-6. http://books.google.com/books?id=Ne5JZYf-dlkC&pg=PR2. Kelley, Christopher (2006). Executing the Constitution: putting the president back into the Constitution. SUNY Press. ISBN 978-0-7914-6727-5. http://books.google.com/books?id=qgzmexCI734C&pg=PP1. Keppel, Gilles; Milelli, Jean-Pierre and Ghazaleh, Pascale (2008). Al Qaeda in its own words. Harvard University Press. ISBN 978-0-674-02804-3. http://books.google.com/books?id=CabsOugrUIgC&pg=PP1. Kushner, Harvey (2003). Encyclopedia of terrorism. SAGE. ISBN 978-0-7619-2408-1. http://books.google.com/books?id=ZOfkAoDb_2IC&pg=PP1. Lawrence, Bruce; Bruce Lawrence (2005). Messages to the world: the statements of Osama Bin Laden. Verso. ISBN 978-1-84467-045-1. http://books.google.com/books?id=3_fRlEZoaioC&pg=PP1. Retrieved 2011. McDermott, Terry (2005). Perfect Soldiers: The 9/11 Hijackers. HarperCollins. pp. 191–192. ISBN 978-0-06-058470-2. http://books.google.com/books?id=4Oufo58esZAC&pg=PP1#v=onepage&q&f=false. "McKinsey Report". FDNY / McKinsey & Company. August 9, 2002. http://home2.nyc.gov/html/fdny/html/mck_report/toc.shtml. Retrieved 2011-09-25. Murdico, Suzanne (2003). Osama Bin Laden. Rosen Publishing Group. ISBN 978-0-8239-4467-5. http://books.google.com/books?id=SSHiERbJuKMC&pg=PP1. "The Pentagon Building Performance Report" (PDF). American Society of Civil Engineers (ASCE). January 2003. Archived from the original on 2011-07-21. http://web.archive.org/web/20110721055255/http://www.fire.nist.gov/bfrlpubs/build03/PDF/b03017.pdf. Retrieved 2011-09-03. Summers, Anthony; Swan, Robbyn (2011). The Eleventh Day: The Full Story of 9/11 and Osama Bin Laden. New York: Ballantine Books. ISBN 1-4000-6659-X. http://books.google.com/books?id=_3Khbl9ODkEC&pg=PP1#v=onepage&q&f=false. Sunder, Shyam S. (2005). Final Report on the Collapse of the World Trade Center Towers. National Institute of Standards and Technology (NIST). http://www.nist.gov/manuscript-publication-search.cfm?pub_id=909017. Retrieved 2011-09-02. "World Trade Center Building Performance Study – Bankers Trust Building" (PDF). FEMA. May 2002. http://www.fema.gov/pdf/library/fema403_ch6.pdf. Retrieved 2007-07-12. "World Trade Center Building Performance Study – Peripheral Buildings" (PDF). FEMA. May 2002. http://www.fema.gov/pdf/library/fema403_ch7.pdf. Retrieved 2011-09-03. "World Trade Center Building Performance Study" (PDF). Ch. 5 WTC 7 – section 5.5.4. Federal Emergency Management Agency. 2002. http://www.fema.gov/pdf/library/fema403_ch5.pdf. Retrieved 2011-09-02. Wright, Lawrence (2006). The Looming Tower|The Looming Tower: Al-Qaeda and the Road to 9/11. Knopf. ISBN 978-0-375-41486-2. http://books.google.com/books?id=RNkj-mO-Nt8C&pg=PP1. The 9/11 Commission Report: Final Report of the National Commission on Terrorist Attacks Upon the United States. Cosimo, Inc. July 30, 2010. ISBN 978-1-61640-219-8. http://books.google.com/books?id=TjKODEaahVQC&pg=PP1. Atkins, Stephen E (2011). The 9/11 Encyclopedia. ABC-CLIO. ISBN 978-1-59884-921-9. http://books.google.com/books?id=PDDIgWRN_HQC&pg=PP1. Bolton, M. Kent (2006). U.S. National Security and Foreign Policymaking After 9/11: Present at the Re-creation. Rowman & Littlefield. ISBN 978-0-7425-5900-4. http://books.google.com/books?id=IETboc9ajpQC&pg=PP1. Caraley, Demetrios (2002). September 11, terrorist attacks, and U.S. foreign policy. Academy of Political Science. ISBN 978-1-884853-01-2. http://books.google.com/books?id=xMCGStzPzooC&pg=PP1. Chernick, Howard (2005). Resilient city: the economic impact of 9/11. Russell Sage Foundation. ISBN 978-0-87154-170-3. http://books.google.com/books?id=GL6vOpKbFygC&pg=PP1. Damico, Amy M; Quay, Sara E. (2010). September 11 in Popular Culture: A Guide. Greenwood. ISBN 978-0-313-35505-9. http://books.google.com/books?id=mgtSLkKxIpEC&pg=PP1. Hampton, Wilborn (2003). September 11, 2001: attack on New York City. Candlewick Press. ISBN 978-0-7636-1949-7. http://books.google.com/books?id=DawvZDIJJP4C&pg=PP1. Langley, Andrew (2006). September 11: Attack on America. Compass Point Books. ISBN 978-0-7565-1620-8. http://books.google.com/books?id=9c35HJ2gaWQC&pg=PP1. Neria, Yuval; Gross, Raz; Marshall, Randall D.; Susser, Ezra S. (2006). 9/11: mental health in the wake of terrorist attacks. Cambridge University Press. ISBN 978-0-521-83191-8. http://books.google.com/books?id=kADL4ymHsY8C&pg=PP1. Strasser, Steven; Whitney, Craig R; United States. Congress. Senate. Select Committee on Intelligence, National Commission on Terrorist Attacks upon the United States (2004). The 9/11 investigations: staff reports of the 9/11 Commission: excerpts from the House-Senate joint inquiry report on 9/11: testimony from fourteen key witnesses, including Richard Clarke, George Tenet, and Condoleezza Rice. PublicAffairs. ISBN 978-1-58648-279-4. http://books.google.com/books?id=qLCn_D7lX5kC&pg=PP1. September 11 attacks in the Newseum archive of front page images from 2001-09-12.